Sinus infection known as sinusitis in medical terms is triggered by swelling and inflammation of nasal cavities. Bacteria and fungus rarely become the reason of sinus infection. Pain remains the most common symptom of sinus. Pressure and writing pain can be felt below or above the eyes or behind the nose. It happens because sinus is blocked by the mucus on which bacteria is grown. A sinus infection can lead to nasal congestion, headache, greenish-yellow discharge, cough and sore throat. Fever does not happen usually in case of sinusitis. Sinus can be acute or chronic. On one hand where acute sinus remains for a short period and occur during cold or allergies, on the other hand, chronic sinus can last for weeks and can continue to occur. Consulting a doctor always remains an option. However, before the doctor bombards you with antibiotics, why shouldn’t you try home remedies, especially in case of acute sinus? Home remedies come handy when it comes to treating a problem like this and they prove to be effective in many cases. 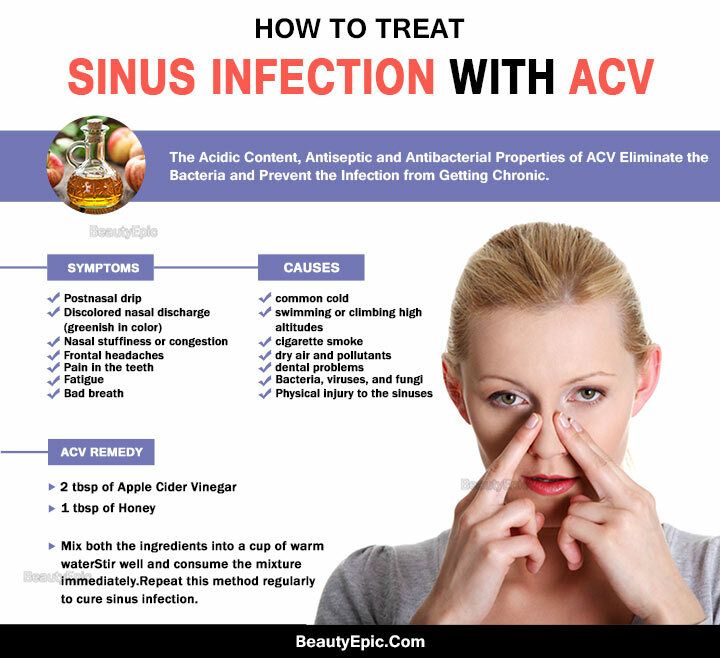 Apple cider vinegar is one of the most effective home remedies for sinus infection. Does Apple Cider Vinegar Help Sinus Infection? 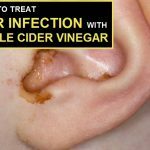 Before you use apple cider vinegar to treat sinus infection, let’s find out the reason which makes this vinegar so useful. The presence of Vitamin A, E, B1, B2, magnesium, and calcium in it helps in treating the symptoms of sinusitis and also cleans the sinus cavities. The thick fluid which blocks the nasal and causes congestion, that mucous gets thin with the help of vinegar. Due to its high pH level, it succeeds in breaking down the mucous and makes it easy forpatients to breathe. It prevents acute sinus to take the form of the chronic sinus as it prevents the infection from becoming more severe. So is done by vinegar by putting a stop on bacteria from growing further. Apple cider vinegar possesses anti-fungal and anti-bacterial properties and because of these properties, it is able to kill those bacteria which cause the sinus infection. Not only apple cider vinegar will help to cure the sinusitis in its inception but also prevent it from recurring. Apple cider vinegar will show its magic only when it will be used in proper proportion and at right time. You can mix vinegar with many other elements such as water, honey, ginger to make it work more effectively and treat infection within minimum time possible. Moreover, there is more than one way to make use of it i.e. it can be consumed in the form of drink, or used as a spray or in the form of steam. Let’s learn more about the ingredients that can be used to make drink and spray. 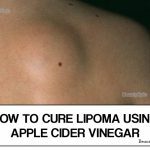 Take 1 tablespoon of apple cider vinegar thrice a day to treat your ailment. Its reburial intake will not only prevent it initially but also stop the infection from affecting your body again. Note: It is advisable to take with a straw. You can consume apple cider vinegar in diluted form. Take 2 tablespoons of vinegar and mix it with 8 ounces of water. Drink the mixture daily to bid adieu to your sinus problem. Tip: In case of gargle as well you can use above mixture as it will give immense relief to your sore throat. A person suffering from sinus gets a lot of relief from stem and if vinegar is added to the water while taking steam, it will give you quick results. Doctors always recommend steam whether or not they suggest medicine, it is so because it clears the nasal passage and makes it easier for sufferer to breathe. Preparation time: 5 to 10 minute. Take water and apple cider vinegar in equal proportion; say ½ cup of water and 1/2 cup of vinegar. Cover your neck and head with the help of the towel. Keep your face above the pan (or steamer) and breathe the steam. Inhale through your nose and exhale through the mouth. Repetitions: Do the same at least thrice a day to treat sinusitis. Pour 2 tablespoon of vinegar and 1 tablespoon of honey in 8 ounces of lukewarm water. Drink the above mixture daily to get rid of the sinus infection. Repetitions: Consume this drink daily once. How it works: Anti-bacterial properties of honey not only kill bacteria causing sinus infection but also sooth the sore throat. Moreover, when vinegar is consumed with honey, it boosts body’s immunity system. Take 1 tablespoon of distilled water; put 5 to 6 drops of vinegar in it. Pour the above mixture in nasal sprayer. Sniff the mixture to affected nostrils; it will de-block the nostril by thinning the mucous. Repetitions: Use of this spray thrice a day will free you from nasal congestion. You will see the effect within 24 hours. Take water and put apple cider vinegar in it. Take 1 tablespoon of mixture in your palm. Close one nostril with your finger and snort the mixture from another nostril at once. Tilt your head back and let the mixture reach your throat while passing through the nostril. Repeat the same procedure from another nostril. Repetitions: Do the above twice a day for better results. Use unpasteurized and raw apple cider vinegar for it contains the nutrient mother and it will cure the infection of sinus better. Drink as much water as you can because it dilutes mucous, washes bacteria and fungus present in throat. One needs strong immune system to fight sinusitis and for the same consumption of food which is rich in vitamin A should be increased. Avoid intake of cold items such as ice-cream and cold beverages. Keep your nostrils moist using spray. If you are pregnant, or breastfeeding and taking any other medicines then you must consult a doctor before using apple cider vinegar. You will find your condition improving once you start using above mentioned remedies, however, yet if you do not find you condition better it is always advisable to consult a doctor. How to Get Rid of Scabs in Nose, Causes, Treatment, Remedies?